This former Victorian bank has been transformed into a discreet, boutique-style hotel crowned by an elegant stained glass dome - an unexpected find in the City’s heart. 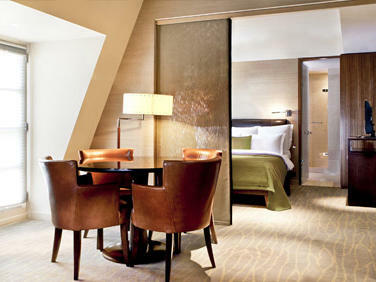 The hotel exudes grandeur in a thoroughly modern way amid the bustle of the Square Mile. 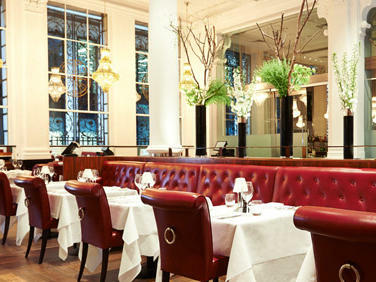 Inside this haven, you can dine on Marco Pierre White cuisine, and take afternoon tea in the iconic dome lounge. Modern style meets historic stealth in this former Victorian bank. Accommodation at Threadneedles is in a palette of muted tones, with an emphasis on natural wood furnishings and soft lighting. The effect is relaxed, making Threadneedles stand apart in this busy financial district. Technology is to a very high standard, and there are expansive work areas. Large beds are plumped high with pillows and cushions, for kicking back after a day’s work or leisure. 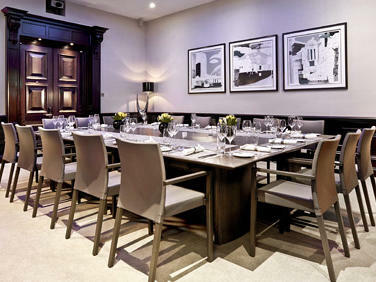 At Threadneedles Hotel, the dining is as consistent a lure as the accommodation. From informal meals in the bar or dome lounge, through to a grand feast in Marco Pierre White's Wheeler's of St. James’s Oyster Bar & Grill Room, there is a rigorous focus on good quality British ingredients, and a flair for flavour. We also serve Afternoon Tea throughout the day. Threadneedles is designed for flexibility, with our event spaces able to be used for a variety of different occasions. Access to the latest technology make our hotel a popular choice for business needs, while the classic Victorian architecture and contemporary interior design appeals to those needing an elegant, modern venue for a private celebration. Whether business or pleasure, there’s a clever mix of sophistication and ease, so you can get to work in stylish surrounds or make a memorable night of a family occasion. It goes without saying that all meeting and events rooms offer complimentary, high-speed Wi-Fi.